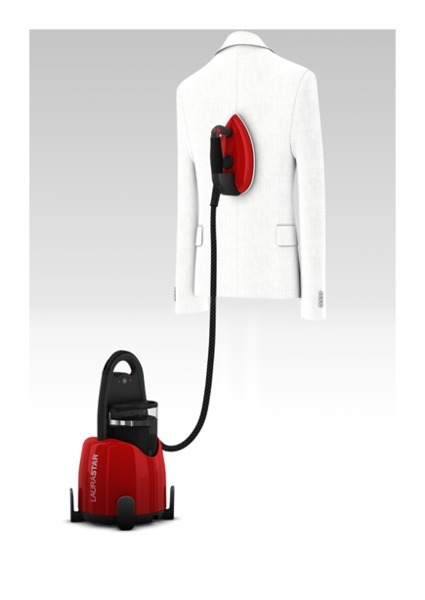 Compact and light, Laurastar Lift is the first steam generator with a handle that lets you take it everywhere, from the ironing board to the clothes hanger. It is as effective for a final touch on a hanging garment as for ironing a shirt on the board itself. Also, the Laurastar Lift is ready to use in just 3 minutes, so you can wear your beautifully ironed shirt in no time. It automatically turns off after 10 minutes of non-use. Manual steam and standard soleplate. 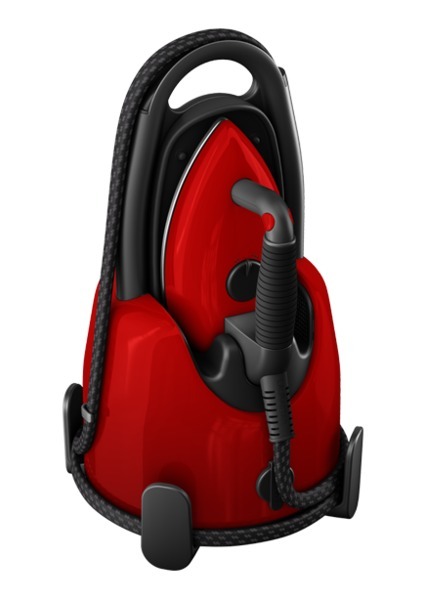 The Laurastar Lift Red steam generator consists of a professional iron - exclusive to Laurastar - with a professional, ultra-light soleplate, which diffuses an ultra-fine, powerful steam that adapts to all your fabrics. 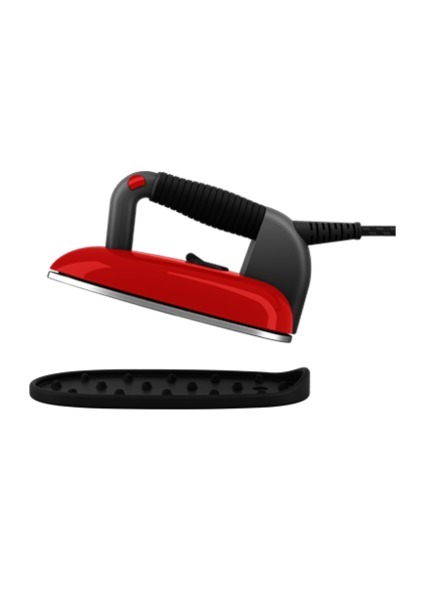 The soleplate’s round shape makes ironing easier and prevents unwanted creases. 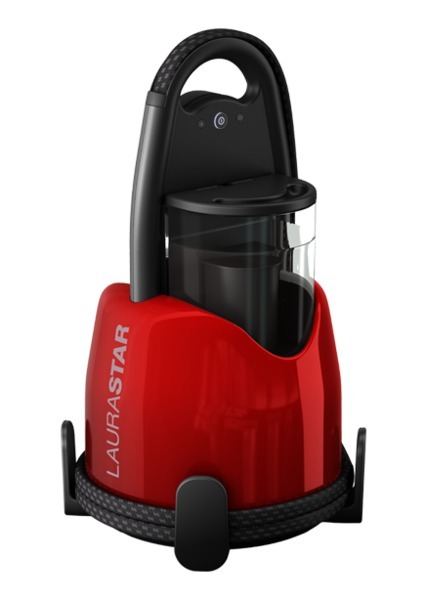 Laurastar Lift Original Red steam generator comes with a special heat-resistant iron mat, a protective soleplate for delicate fabrics and an anti-scale water filter cartridge. It has a 2-year guarantee. 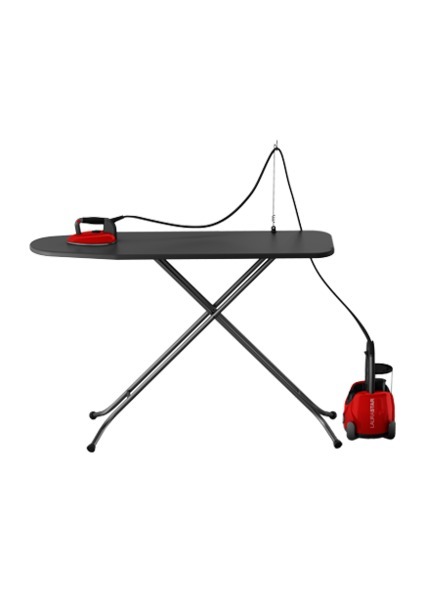 Height Adjustable: 32.3" to 40.2"
The Laurastar Lift Original Red steam generator offers a Laurastar exclusive professional iron, with an ultra-light soleplate, which diffuses an ultra-fine powerful steam that adapts to all your fabrics. The soleplate's round shape prevents unwanted creases, making ironing much easier. Laurastar Lift Original Red steam generator comes with a protective soleplate for delicate fabrics, a special heat-resistant iron mat and an anti-scale water filter catridge. It also has a 1-year manufacturer's guarantee. 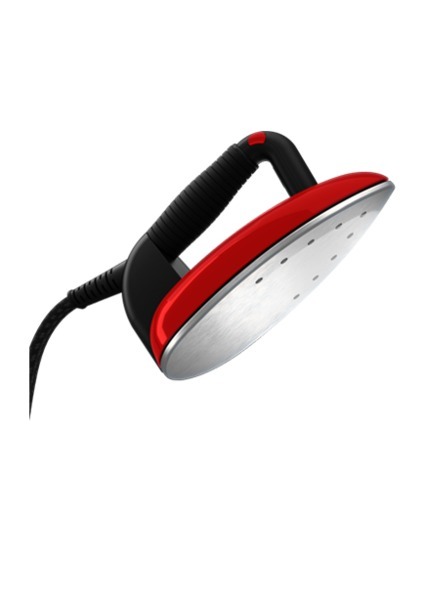 Immediate Use: The Laurastar Lift Original Red steam generator heats up in only 3 minutes. 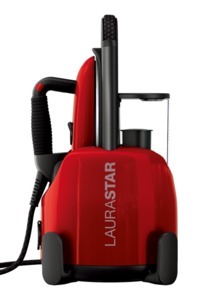 Convenient: The Laurastar Lift Original Red steam generator is easy to carry thanks to its handle and is easy to set down on its feet. Fot increased convenience, its vertical steaming function allows you to bring the finishing touch to your hanging garment. Safe Use: The Laurastar Lift Original Red steam generator has an auto-stop funciton which automatically switches off the appliance after ten minutes on non-use for increased safety and energy saving. The iron can safely be stored away in its secure compartment.